Expand your Citrix networking knowledge and skills by enrolling in this five-day course. It covers Citrix ADC essentials, including secure load balancing, high availability and operations management, and also focuses on Citrix Gateway. 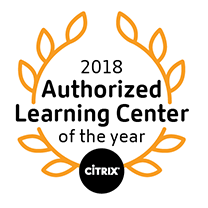 You will learn to deliver secure remote access to apps and desktops integrating Citrix Virtual Apps and Citrix Desktops with Citrix Gateway. This course is best suited for IT professionals, with little or no previous Citrix networking experience, who will be deploying or managing Citrix ADC, or Citrix Gateway environments. Built for IT Professionals working with Citrix ADC and Gateway, with little or no previous Citrix networking experience. Potential students include administrators, engineers, and architects interested in learning how to deploy or manage Citrix ADC or Citrix Gateway environments.